Pole position: check. Fastest lap: check. Podium: check. The only thing missing from Felix Rosenqvist’s CV in his rookie FIA Formula E Championship campaign is an elusive victory. In this weekend’s Berlin ePrix, the Swede will get not just one, but two opportunities to add the most eagerly awaited feat to his list of achievements. Round seven of the 2016-17 Formula E championship sees the field descend on a temporary track at Berlin’s disused Tempelhof airport, located in the south-eastern parts of the German capital. For the first time of the season, two races are set to be run this weekend as Formula E stages the first of three double-header events to round out the campaign, meaning double the points up for grabs – and twice the chance for Rosenqvist to score that first win. 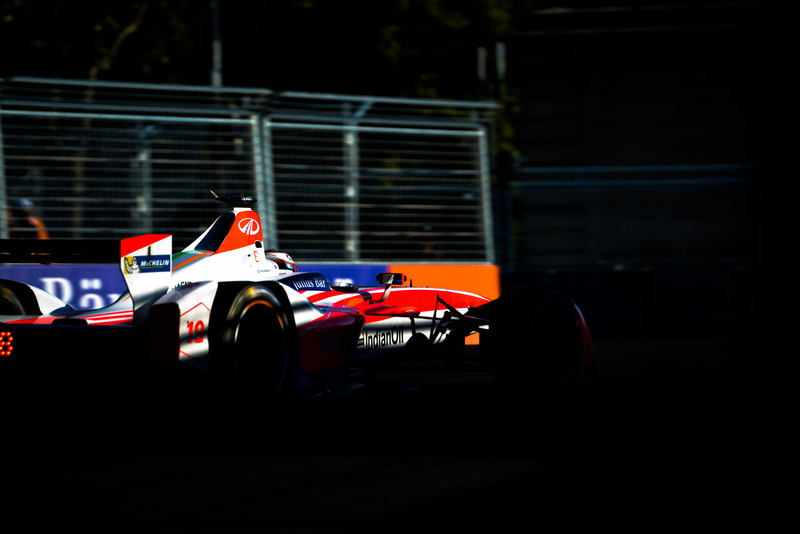 Rosenqvist finished fourth on the streets of Paris last time out, adding to a solid sixth in the preceding Monaco ePrix. The Swede’s team, Mahindra Racing, are yet to win a Formula E race but are currently on an all-time high having scored their best-ever combined result in Paris with Rosenqvist’s P4 effort backed up by team-mate Nick Heidfeld (GER) in third. “We have great momentum at the moment and there are some interesting things coming from the team on the technical side, which is improving all the time,” Rosenqvist concludes. “I’m convinced that we’ve got the package to win races, but it’s not going to be easy and it will require us to perform to our maximum capacity on the day. Following a short shakedown session on Friday afternoon, the Berlin ePrix double-header kicks off for real on Saturday with the first of the weekend’s two races. The second encounter takes place on Sunday. Both race days feature identical time tables, with separate qualifying sessions to form the respective grids. The Saturday outcome thus has no bearing on Sunday’s action, as the event effectively resets overnight. Felix Rosenqvist currently holds sixth in the FIA Formula E Championship standings, tied on points with fifth-placed Jean-Eric Vergne (FRA). 3: Nicolas Prost (FRA), 58 p.
4: Nick Heidfeld (GER), 47 p.
5: Jean-Eric Vergne (FRA), 40 p.
6: Felix Rosenqvist (SWE), 40 p.